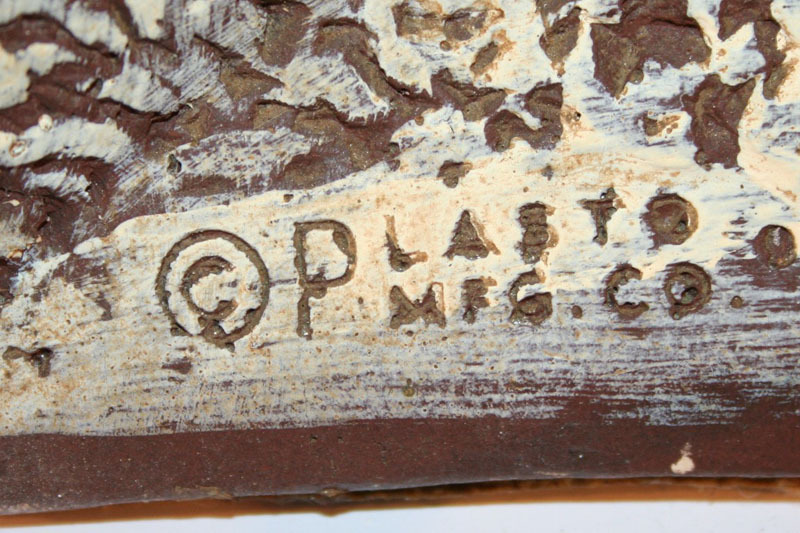 Plasto Manufacturing Company was started in 1945 by Joseph M. Borowitz. As the name indicated, Plasto lamps were made of chalkware of plaster of Paris. 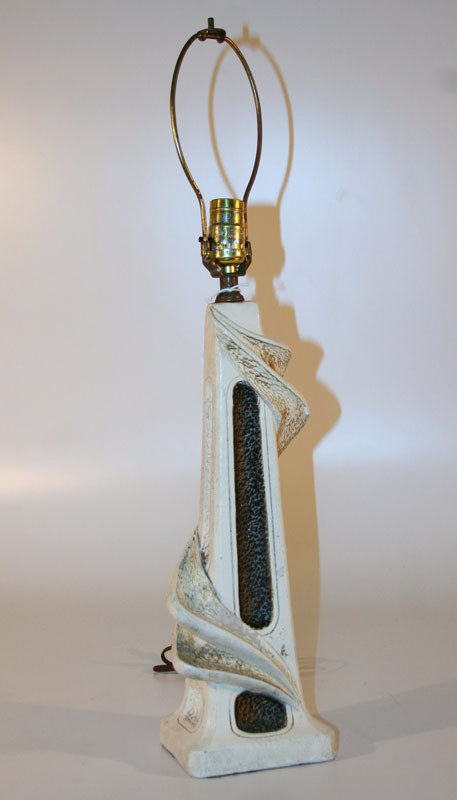 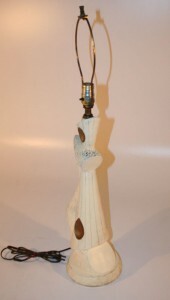 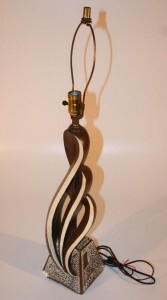 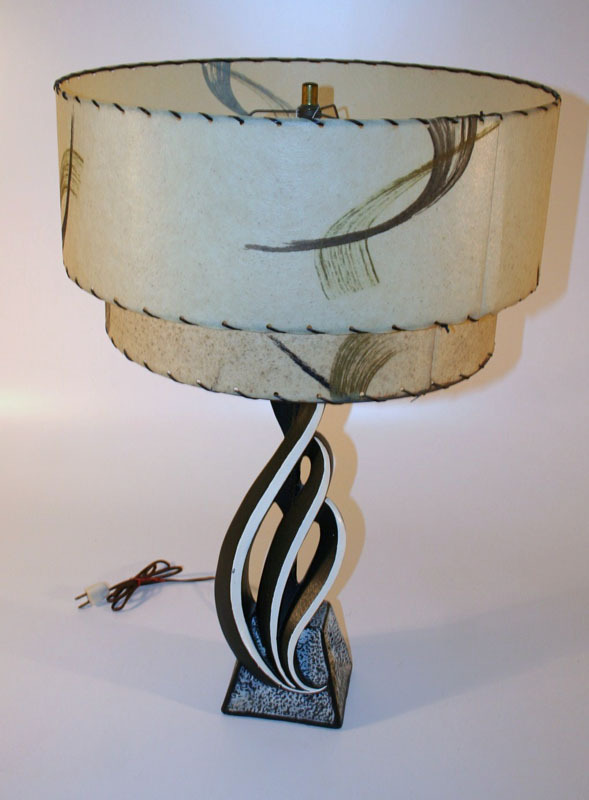 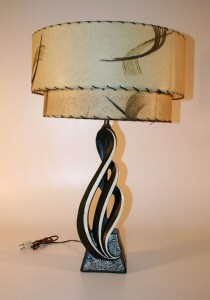 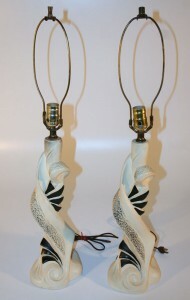 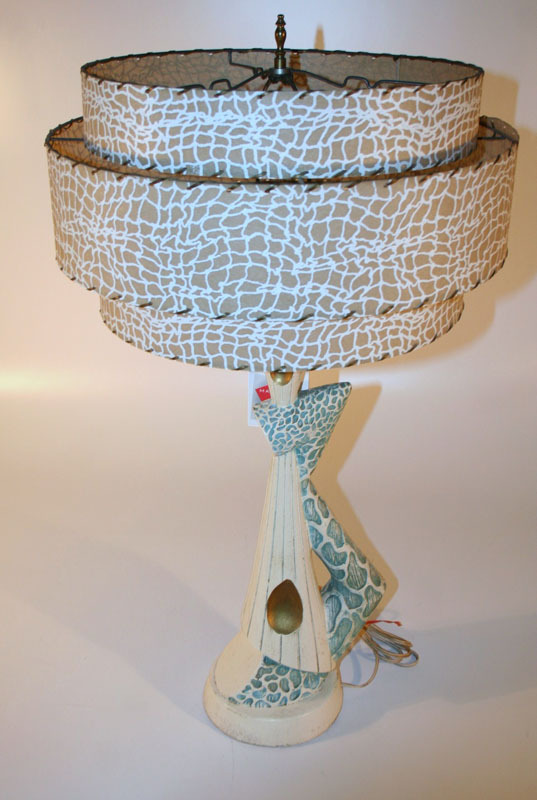 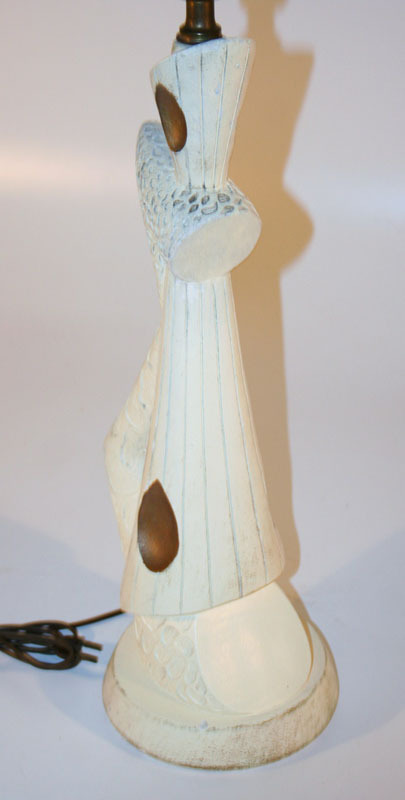 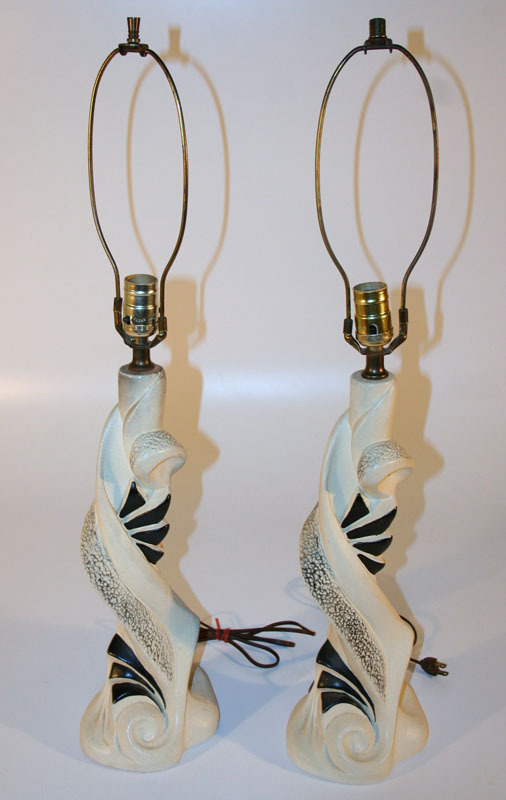 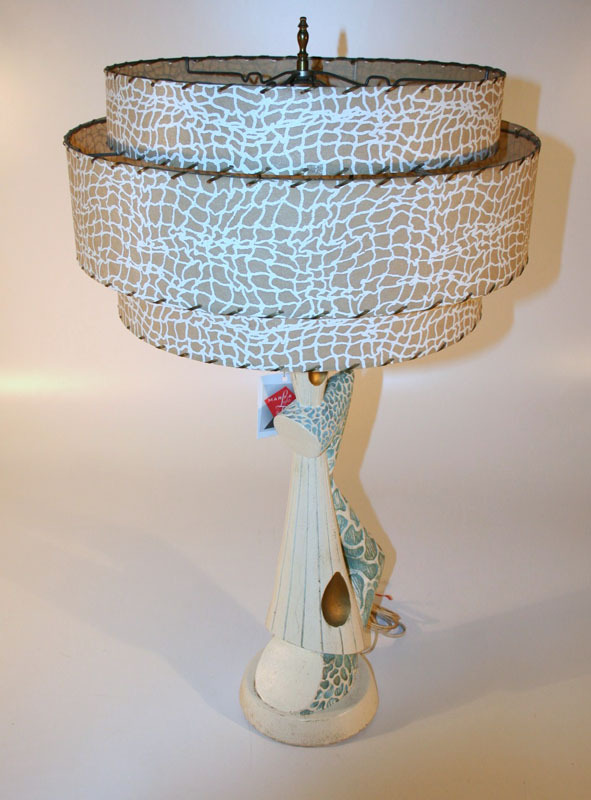 a Mid Century Modern Plasto Lamp and could be said to be a “fake-lor” for the using of a Reglor eye motif. 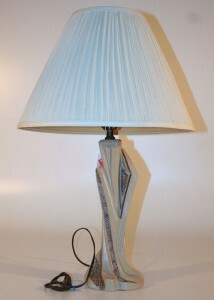 Reglor Lamps inspired many Mid Century Modern designers including the designer of this Plasto Lamp.